Tecnoalarm research department has developed an extensive range of detectors for the three levels of intrusion protection: perimeter protections of the estate, those for the outdoor and the indoor of the building. The perimeter protection is made with long-range barriers, which have been specifically developed for outdoor installations like industrial sites, warehouses, courtyards or gardens. Barriers and detectors protect the outside of the building and the access ways like doors and windows. The indoor detectors capture the presence of intruders in each specific area of the building as well as sabotage attempts thanks to innovative anti-tamper protections like the antimasking control. 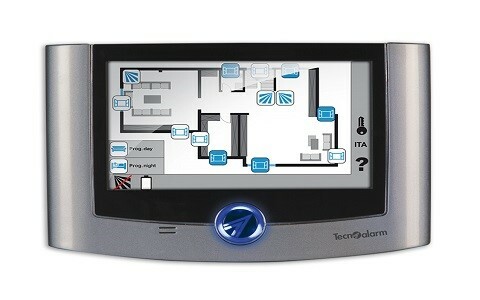 Tecnoalarm systems can be integrated with wireless components for an easy installation in inaccessible places. All the wireless devices are equipped with dual-band technology to ensure a good quality of transmission and reception of the wireless signals. The user interface is friendly with control units which also integrate interactive voice functions. The innovative RSC® technology permits the communication between the alarm system and Tecnoalarm software operated in the installer’s office thanks to a specific protocol developed by Tecnoalarm research department. The sophisticated technology allows to check functioning of each device to guarantee a continuous and reliable service and ensure an efficient use of the system’s resources. RSC® technology is a valid tool for a preventive maintenance of the systems. Another showpiece of Tecnoalarm is the RDV® technology protected by international patent. 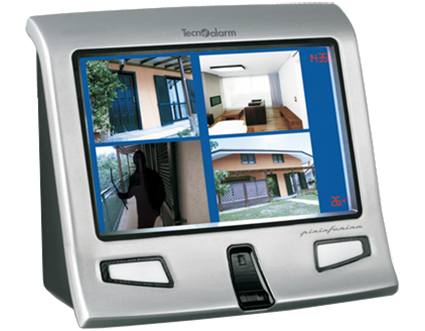 It allows the final user to verify in real time if the alarm has been caused by an intrusion. The digital alarm signal is transformed into a particular sound signal whose intensity is directly proportional to the detected movement. This signal is sent to the user’s mobile phone or the central monitoring station for the necessary action.